We are committed to the prevention of wine fraud. In 2019, Chinese New Year falls on Tuesday February 5th and its correspondent animal, according to the Chinese zodiac which moves in a 12-year cycle, is the pig. For the upcoming festivities, we have selected ten fine wines from previous pig zodiac years: 1947, 1959, 1971, 1983, 1995 and 2007. Today’s post looks at their secondary market performance and analyses their price development. Great things can happen in times of turmoil. Least, that is the case with some wines from the 1947 Right Bank vintage, which came just after the Second World War. Back in 1997, Robert Parker described Petrus 1947 as “the most decadent wine of the century”. He confirmed his 100-point-score for this wine for the fourth time. The Pomerol representative last traded in 2016, when a single bottle sold for £9,500. Another 1947 Saint-Emilion has also been full of praise – Cheval Blanc, which Robert Parker called an “amazing”, “mammoth wine”. The price of this wine, as with all bottles of this age, is condition-dependent. Here it stood in the market at £5,400 per bottle. 1959 – a year of political and artistic upheaval – was undoubtedly significant for Lafite Rothschild. Several critics have reviewed Lafite 1959, with Jancis Robinson awarding it the almost perfect 19.5 points and Robert Parker – 99 points. Parker said it was “unquestionably the greatest Lafite Rothschild that has approached full maturity”. When tasting it in 1994, he noted that it “will last for another 30 or more years”. 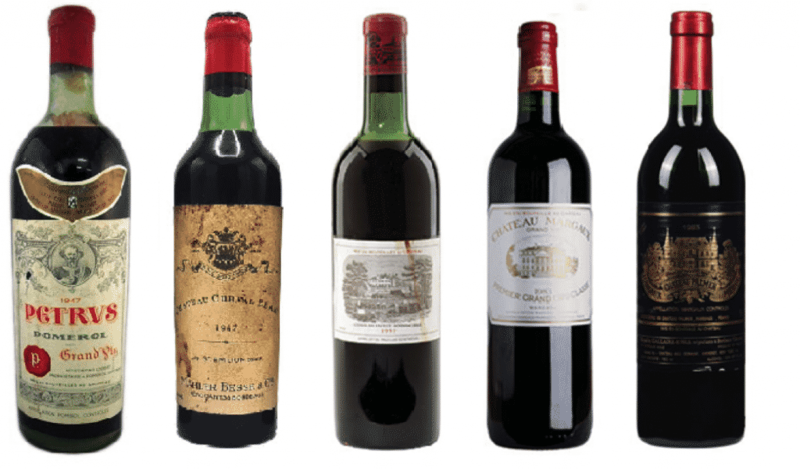 It last traded through the auction market in New York at £25,000 per 12×75; however, a bottle is now being offered for £3,030 for those looking to get their hands on this “earth pig” wine. Burgundy lovers might be interested in DRC Romanee Conti 1971, which commands the higher price of £174,000 per 12×75. Our recent report Burgundy: in the spotlight analysed the region’s development over the past decade and factors that influence price. It specifically looked at our DRC index, which outperformed major luxury groups in 2018, with prices for its wines continuing to prove overstretched. Indeed, First Growths come cheaper. 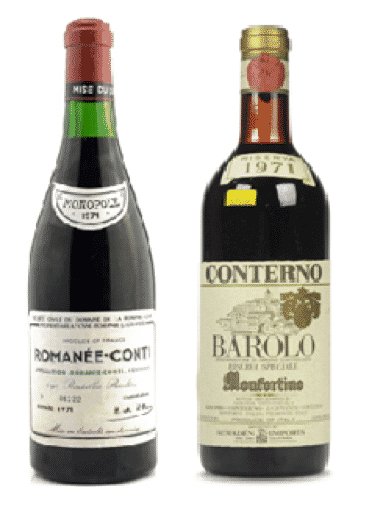 1971 was also a year that favoured the Piedmont. Perhaps ironically, as the use of the pig to hunt truffles (that pair nicely with Barolos) dates back to the Roman Empire, with documented sources from Northern Italy in the 15thcentury. Giacomo Conterno Barolo Riserva Monfortino 1971, for instance, is a wine that is “hard to resist” (RP 98) not least for it “flirts with perfection”. Its current Market Price is £19,200 per 12×75. Back to Bordeaux, “one of the finest Chateau Palmer encountered” is how Robert Parker described Palmer 1983. Neal Martin additionally awarded it 98 points, commenting on its sensuality and “Burgundy-like sensibility”. In the market, the wine has been a very steady riser, with a current Market Price of £5,399 per 12×75. Margaux 1983 was another “triumph from a vintage widely regarded as far from outstanding.” Neal Martin awarded it 98 points and Robert Parker (96) called it “breathtaking”. Its Market Price is £5,184 per 12×75. The pig year of 1995 was a good one for Champagne. It was, in fact, a welcome relief, and provided the first universally declared vintage after four difficult harvests in the region. When writing for the Wine Advocate, Antonio Galloni noted that Krug 1995 “is likely to remain an insider’s wine that is available at more favorable pricing” than other vintages that have attracted more attention. Indeed, its current Market Price of £2,990 per 12×75 compares favourably to £3,830 for the 1996. 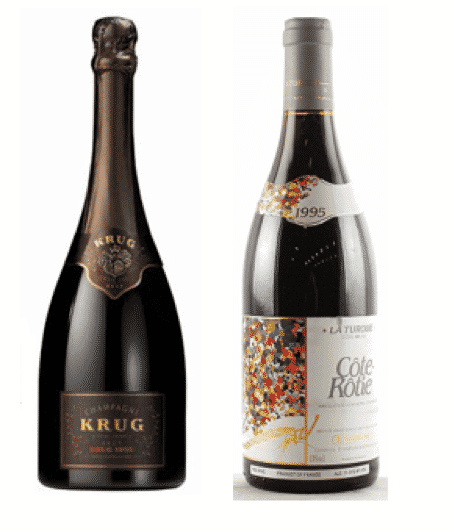 Another 1995 wine from the Rhone also deserves a mention – Guigal, Cote Rotie la Turque, which Robert Parker (100) said “is the stuff of legends” with “at least 2 decades of longevity” when tasting in 1999. The wine’s Market Price is now £5,808 per 12×75. Finally, 2007 – the year of Chateauneauf-du-Pape. Beaucastel Hommage J Perrin received 100 points from both Jeb Dunnuck and Robert Parker, and Parker described it as “an utterly perfect wine”. The vintage last traded on Liv-ex at £4,300 per 12×75, below its current Market Price of £4,800. Previous years of the pig have brought a number of exciting wines to the market. Time will tell how 2019 vintages will fit in this rosy “piggy” picture. Copyright The Wine Auction Room 2018 – All Rights Reserved.